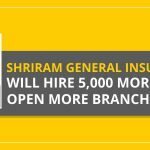 The Shriram car insurance policy covers you against any loss or damage caused to your car due to Natural Calamities – like Fire, explosion, self-ignition or lightning, earthquake, flood, typhoon, hurricane, storm, tempest, inundation, cyclone, hailstorm, frost, landslide, rockslide & Man made Calamities – like Burglary, theft, riot, strike, malicious act, accident by external means, terrorist activity, any damage in transit by road, rail, inland waterway, lift, elevator or air. Under the influence of intoxicating liquor or drugs. Accidental loss or damage caused due to Willful Negligence. Loss or liability while the vehicle is used outside the scope of limitations of use and / or being driven by a person not duly licensed. Consequential loss, depreciation, wear & tear, mechanical and electrical breakdown/failure or breakages. 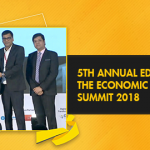 Emergency Transport & Hotel Expenses Reimbursement. 100% reimbursement of car value in case of total loss of new vehicles. 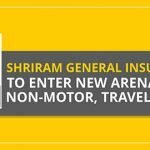 To further protect you and your dear ones commuting in the vehicle with you, SGI offer value added extensions to your Car Policy at a nominal additional premium. Electrical & Electronic Accessories: Your electrical & electronic accessories like music players, seat covers, LCD mini TV, fog lights, etc can also be covered. Bi-Fuel System (CNG/LPG Kit): Your CNG/LPG Kit can also be covered. You can buy or renew car comprehensive policy that not only covers your car against the mandatory third party liability, but also against the losses caused to your car due to various insured perils. The insurance premium depends on the cubic capacity of the engine, the carrying capacity or the gross weight of the vehicle, the age, place of registration and the IDV (Insured Declared Value). Your selection for add-ons will provide additional protection to your DREAM CAR.. Opt them now!!! 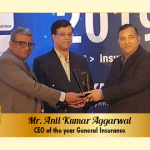 Anil Kumar Aggarwal Wins Award for Best CEO of The Year General Insurance! 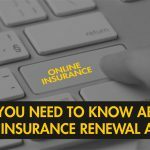 What You Need to Know About Online Insurance Renewal And Benefits! IRDA Consumer Education:- Insurance is the subject matter of solicitation. IRDA Registration Number - 137. CIN No. U66010RJ2006PLC029979. BEWARE OF SPURIOUS PHONE CALLS AND FICTITIOUS/FRAUDULENT OFFERS. IRDAI clarifies to public that IRDAI or its officials do not involve in activities like sale of any kind of insurance or financial products nor invest premiums. IRDAI does not announce any bonus. Public receiving such phone calls are requested to lodge a police complaint along with details of phone call, number.